Reading back through my various postings this year it quickly becomes apparent quite how kind the weather has been to us of late. Virtually every weekend has seen blue sky and sunshine so it was almost inevitable that last Saturday, having arranged to meet friends for a walk, our luck would finally run out. Not that the forecasts indicated this of course. Oh no that would have been far too simple. 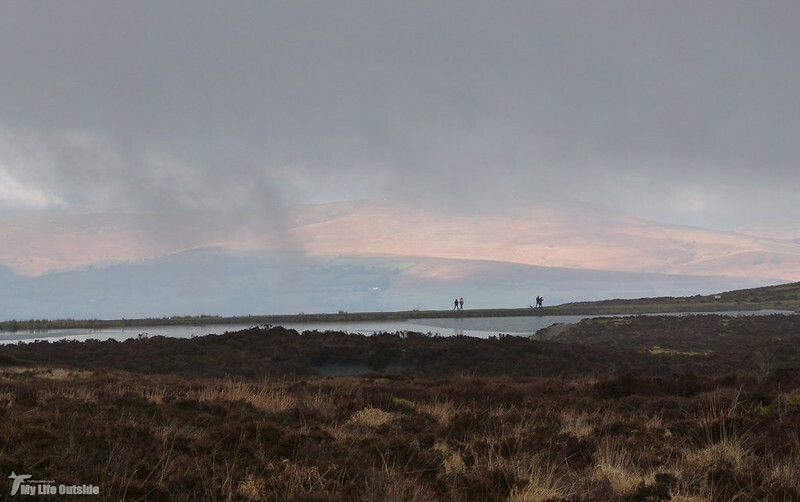 Instead they promised sunny spells and light cloud so driving up the heads of the valleys I was somewhat nonplussed to find torrential rain and dense low lying cloud. 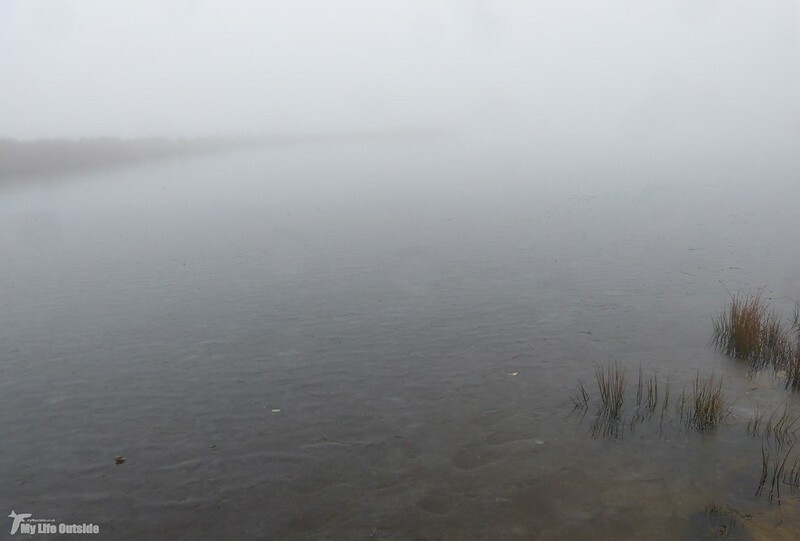 By the time we'd reached Keeper's Pond near Blaenavon conditions had thankfully dried up though with visibility down to less than ten metres or so the expansive views I'd been hoping for were ever so slightly compromised. Of more concern was the fact we'd promised our friends that the pond was easy to spot from the road, something we'd just failed at ourselves despite knowing exactly where it was. With fingers crossed that they'd find us we settled down to wait and were soon joined by a lone sheep. Nothing unusual in that, this is Wales after all, but this individual made straight for our car where it proceeded to stand by its rear staring at us. With a thick mist swirling around we had on our hands a perfect horror movie setting, a sequel to Black Sheep perhaps. Then as quickly as it had arrived it vanished, right on cue for the others to turn up. It was only when we'd all disembarked and were getting ready that it returned, this time with company. Fortunately instead of flesh eating zombie sheep they turned out just to be incredibly hungry and are clearly used to being fed here on a regular basis. They nuzzled and cajoled to such an extent that a cereal bar was offered though unsurprisingly this just increased their enthusiasm. 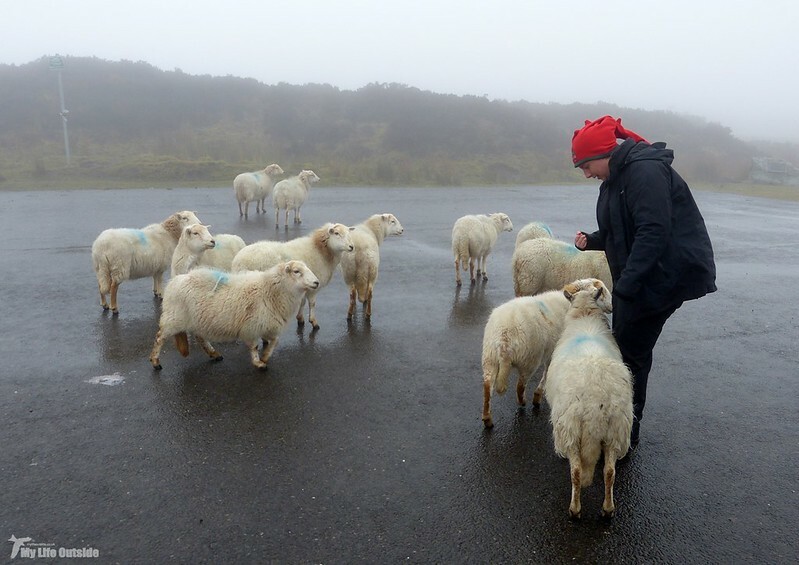 In all my years wandering the hills I've never come across a flock quite so eager for human interaction and indeed pondered if they'd follow us on our way until another car pulled up and immediately took their undivided attention. 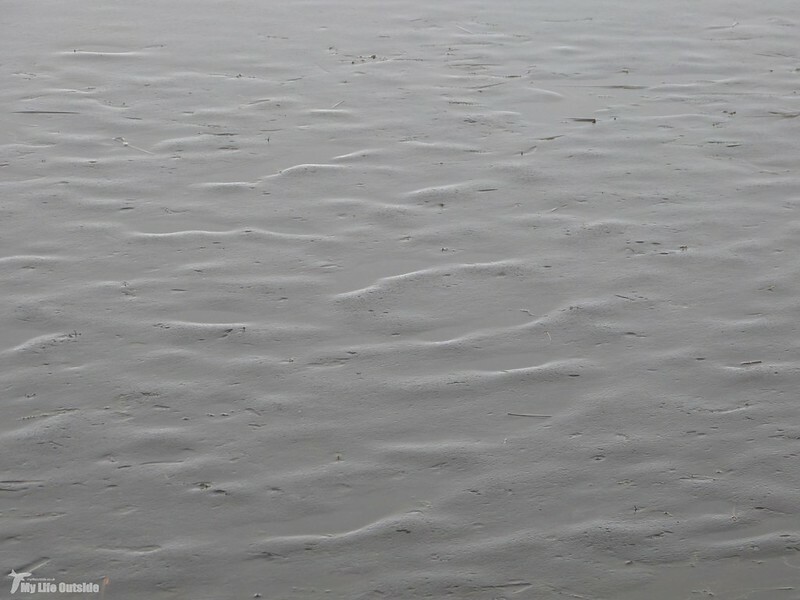 When lettuce leaves began to appear it was clear why. Slipping away we were soon on the Iron Mountain trail, a seven mile walk following various tramways, inclines and tracks of this past industrial powerhouse. Now recognised as a World Heritage Site on par with the pyramids and Taj Mahal the battered and scarred landscape really is a sight to behold, if of course you can see it. 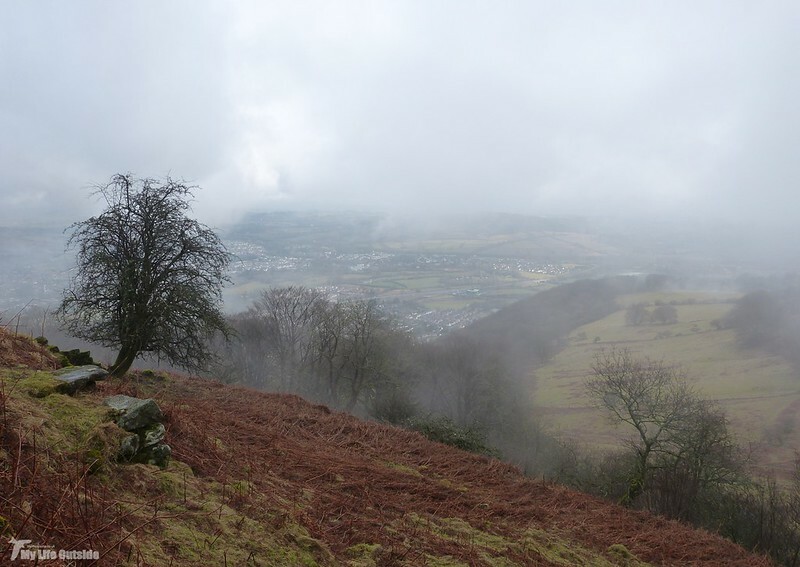 It wasn't until we were almost at the end of Hill's Tramroad that a couple of breaks in the cloud allowed brief glimpses down to Abergavenny. Perhaps things were looking up and I'd manage to get some decent views from up top after all. Wishful thinking at its best. 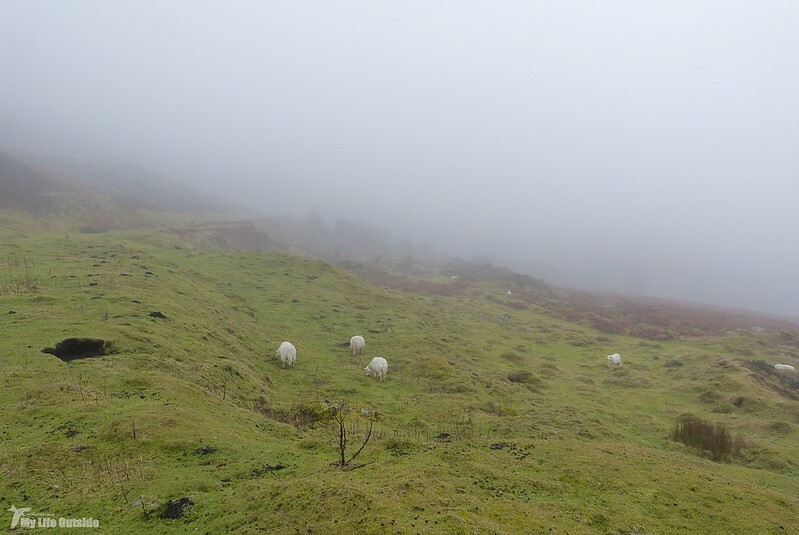 Instead the cloud once again descended and I was thankful that I knew of key features to navigate from as by the time we reached the upper slopes of the Blorenge visibility was as bad as it had been all day. The old communications hut looked even more dilapidated than ever in the cool, grey light but it did at least confirm we were on the right track before striking onwards to the trig point. 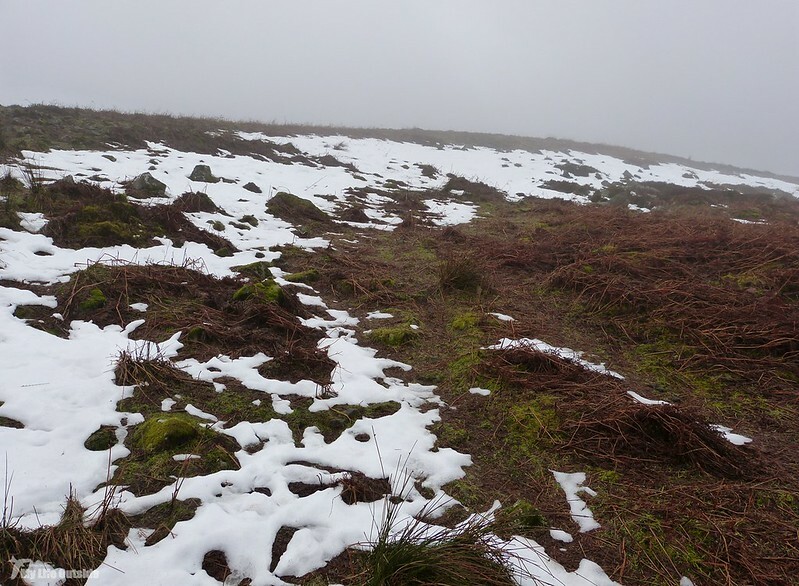 Conditions underfoot were sodden, no doubt partly as a result of recent snow melt, but despite this the going was easy and I even managed to find recent Red Grouse droppings though there was no sign of the birds themselves. 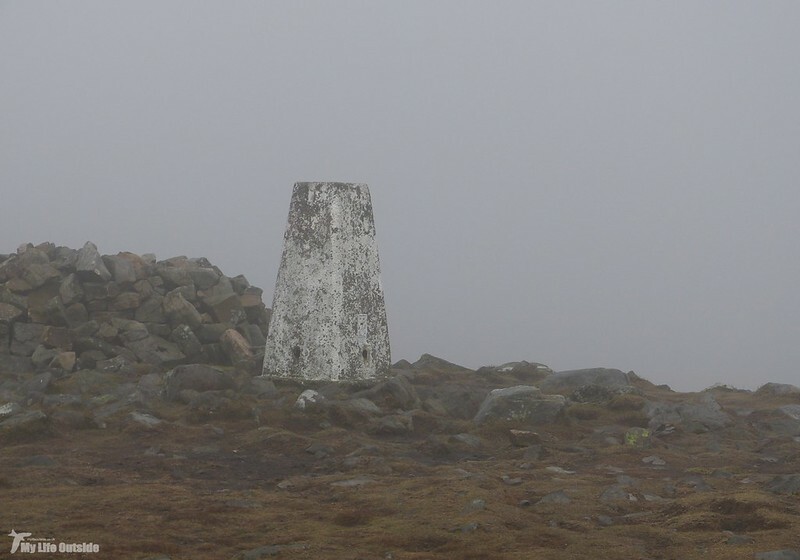 Another slight lifting of the cloud revealed the dark outline of our target, a substantial cairn sitting atop the summit of what even with the kindest of words is never going to be classed as a classic. 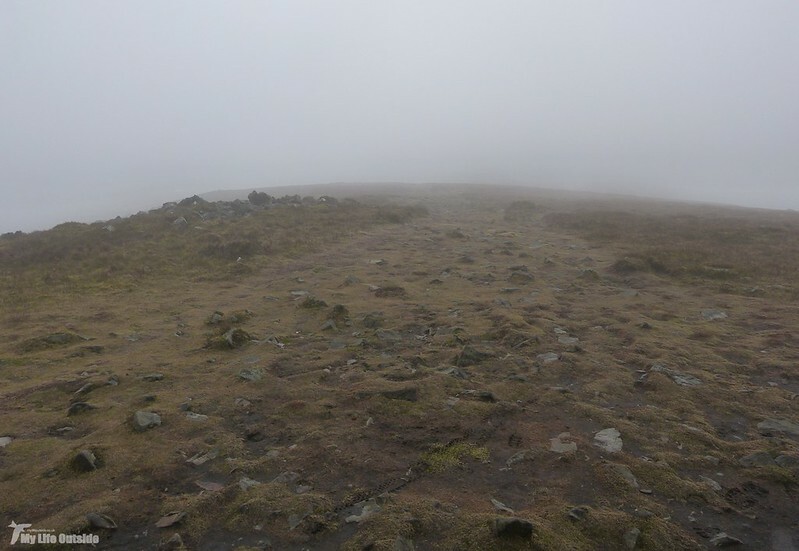 No steep final ascent, no perilous drops, just a slightly larger rise above the wide flat top of the Blorenge. Nevertheless any climb which ends in a trig point is a winner in my books. The short route from here back to the car took no time at all and finally saw a clearing of the clouds which had dogged us all day. With Keeper's Pond revealed there was one last chance to try and capture a little of the beauty of this place including the sculptured sheet of ice which still covered much of the waters surface. And with that we were done. An interesting and varied walk with great company leading to probably the easiest seven miles I've ever covered. Plans are afoot of course for a return trip in better weather as well as another series of joint outings into areas we have yet to venture. It's going to be a busy year. For a full guided walk leaflet click here. Love the sheep, they are special. The long way to walk, it must have been a wonderful. It was Bob and I think the mist only added to the experience. I enjoyed the mist. I'm sorry you had to walk in it but it did produce some grand shots. We can't have sun all the time and at least the mist pushed me to find more interesting ways to photograph our surroundings. 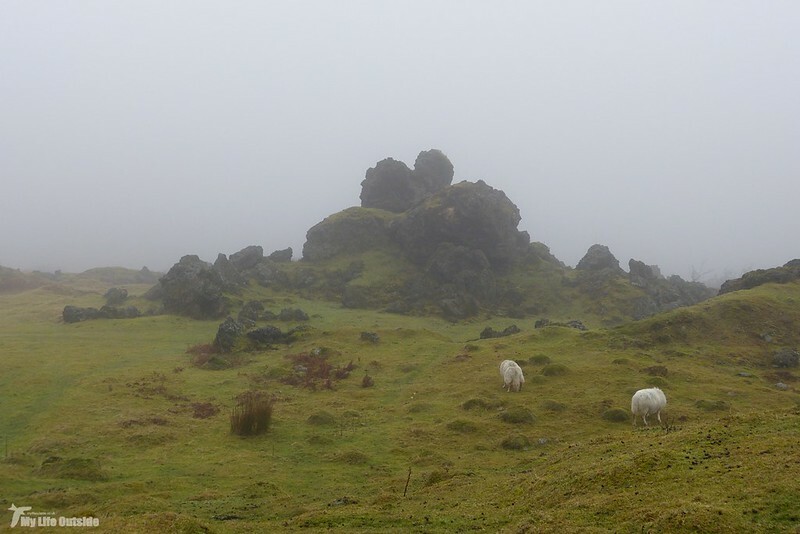 Great photos and magnificent scenery even through the mist. Loved the sheep - they remind me of hand reared lambs which will follow anywhere.